If there were two things to take away from this morning’s panel discussion, titled ‘Building Capacity’, it’s that we need to protect our spectrum and get loud about our integral role in Australian lives. The morning started off with a report from Community Broadcasting Foundation president, Peter Batchelor, which seemed to set the tone for a main focus of the morning- funding. Though much was discussed, the main points of focus for the CBF were identified as funding support for community television, content development funding, financial distress assistance as well as emergency grants for television. Batchelor also addressed the lack of government funding for AMRAP and the digital radio project, raised for the first time today though by no means for the first time at the conference. Second up to the plate was guest speaker, Greens’ Senator Scott Ludlam, talking about why he believes the government should support the community media sector and why it is so important. He addressed his key belief as to why the community radio sector needs to exist, that being as the antidote to the banality of commercial radio, stating that commercial radio is “like listening to junk mail with a broadcasting licence”. 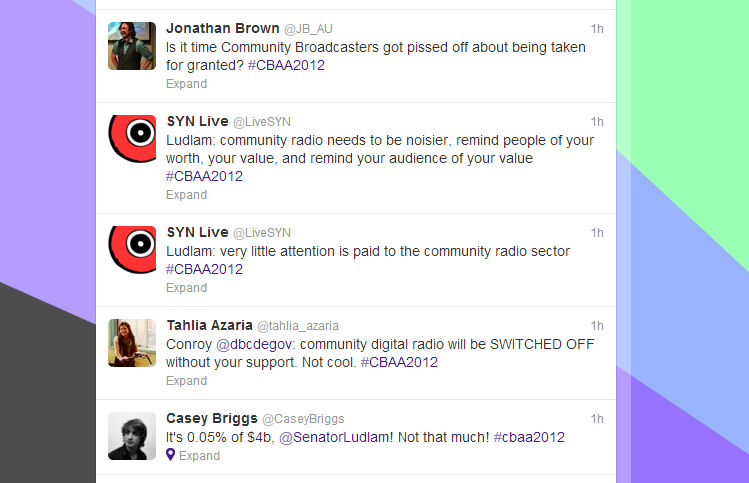 Hi, I’m Bec- one of your friendly neighbourhood SYN Media Bloggers at #CBAA2012 and serial SYNner. 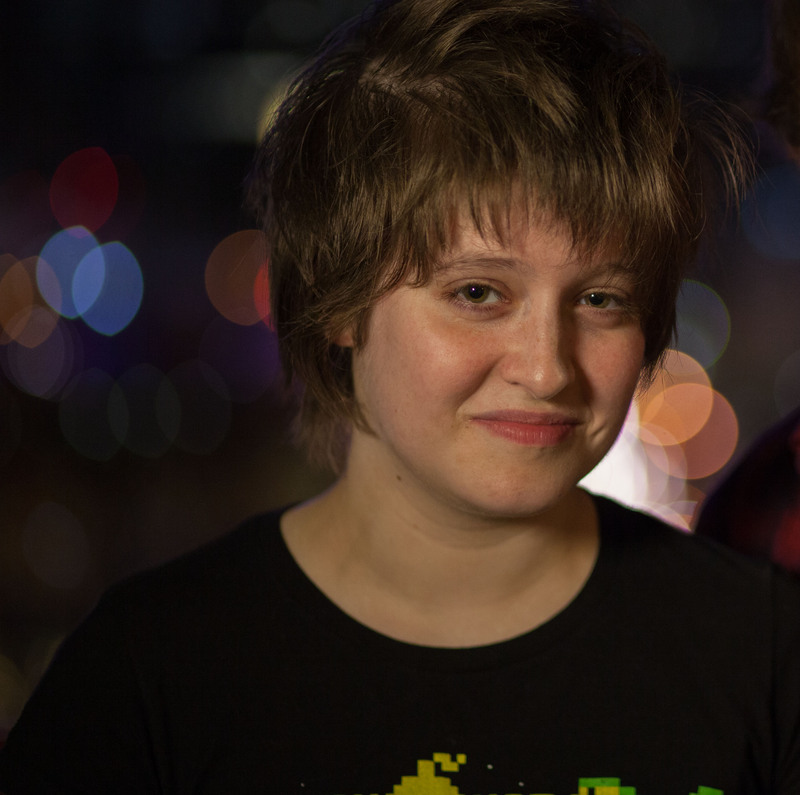 I have a bunch of current roles at SYN including the position of Content Development Coordinator, EP of SYN’s flagship comedy program In Joke, assistant and audio tech for SYN’s Screen and Sound Production services, and frequent volunteer on SYN’s airwaves and screens. From my beginnings hosting both radio programs and SYN’s old breakfast television program Get Cereal TV at the tender age of eighteen, I’ve loved every second of my involvement with community media and all the amazing opportunities that it has given me. 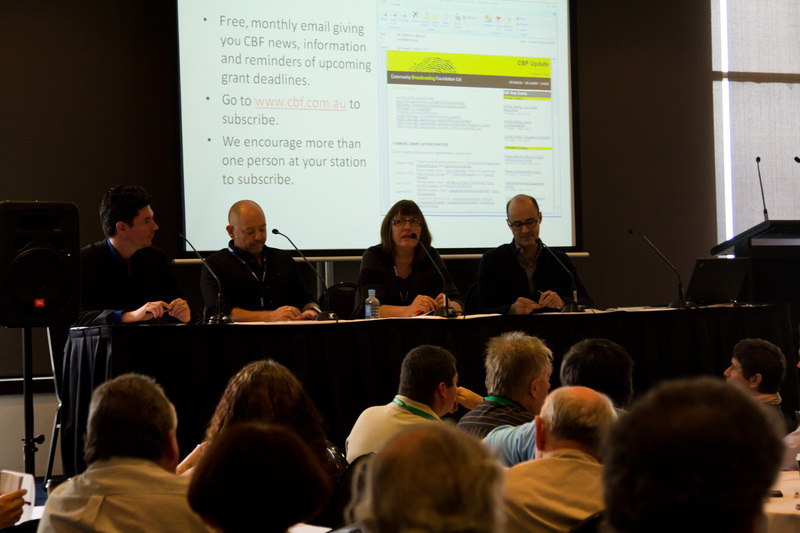 I’m really excited to jump head first into covering this year’s #CBAA2012 and rub shoulders with all the people involved in allowing the community to have its voice in the media landscape. You can follow me at the conference at @becness or from a polite distance.